Get a Free Winnie the Pooh Play set. All you have to do is follow the directions on the website in order to make your own Pooh Play set. 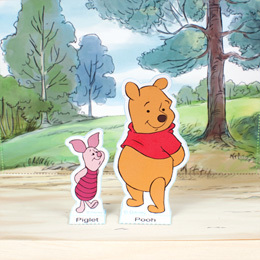 The play set includes characters like Pooh, Rabbit, Owl, Tiger, Piglet and Eeyore.